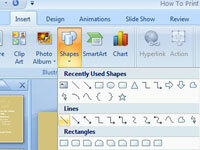 1Click the Line button in the Shapes group on the Insert tab. 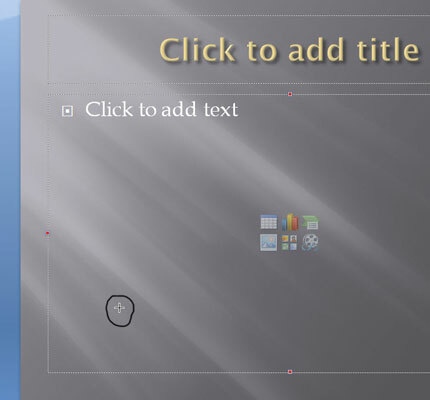 The button’s icon looks just like you’d think it would — a straight line. 2Point the cursor to where you want the line to start. This is the beginning point for your line. 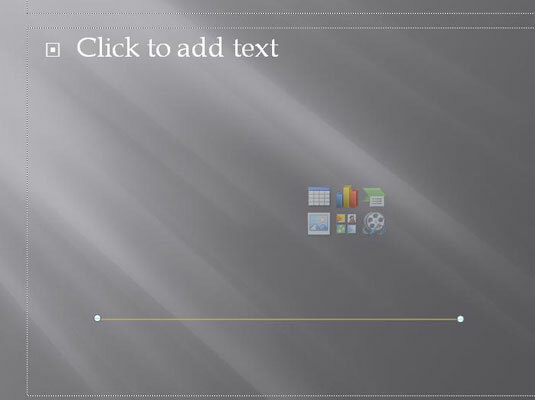 3Click and drag the cursor to where you want the line to end. This is the end point for your line. 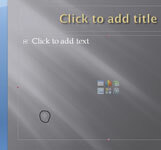 4Release the mouse button when you reach your destination. 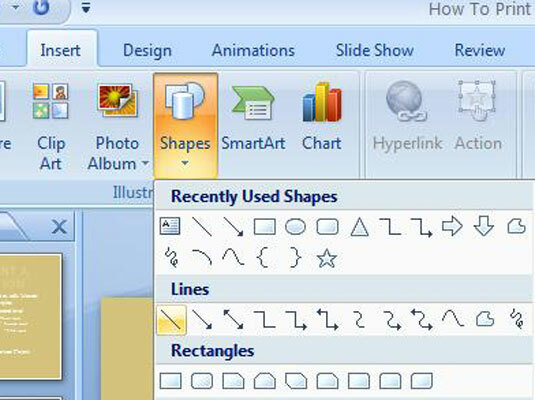 After you’ve drawn the shape, the Ribbon displays the Drawing Tools tab.